Don't have a card? Request one. If you’re an Airpoints™ member travelling the world, we can help make life a little easier when it comes to making purchases overseas. Use OneSmart at home here in New Zealand too – and online. 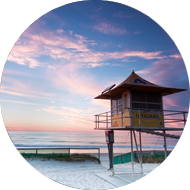 Earn 1 Airpoints Dollar for every NZD $200 you spend domestically. Instantly load money to your OneSmart account with debit loads. That means no internet banking, no fuss, and no wait time. Earn 1 Airpoints Dollar for every NZD $100 spent overseas. Download the app for iOS and Android today, it’s a convenient and secure way to manage your travel money. Easily manage your money while you’re overseas by loading directly into foreign currency – there are eight to choose from. Your card will intelligently select the currency of the country you are in if you have that currency loaded. With OneSmart, even your everyday purchases are more rewarding. Earn 1 Airpoints DollarTM for every NZ$200 you spend in New Zealand, anywhere Mastercard is accepted. OneSmart lets you shop online in the currency of a lot of your favourite international stores. In addition to the currency exchange rates, the following fees and charges apply to OneSmart. The fees and charges may be altered by TCSL at its discretion by providing you with at least 20 days prior notice. There are limits that apply to the use of your OneSmart facility. These limits are set out below but may be altered by TCSL from time to time pursuant to the Terms and Conditions. What currencies can I hold in my OneSmart Account? Your OneSmart Account allows you to hold up to up to eight foreign currencies plus New Zealand Dollars at any one time. The Supported Currencies are: Australian Dollars, Singapore Dollars, Hong Kong Dollars, Japanese Yen, Great British Pounds, Euros, Canadian Dollars, and United States Dollars. Where can I use OneSmart? If you have funds loaded into your OneSmart Account, you can use your Airpoints™ card for eligible purchases1 wherever Mastercard® is accepted overseas and in New Zealand. 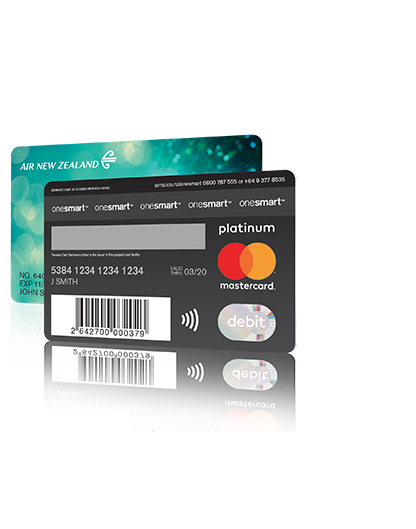 1 Purchases of Airpoints Dollars, gambling chips, money orders, travellers cheques, cash withdrawals, flights purchased directly from Air NZ using your OneSmart card and any transactions that are reversed, refunded or charged-back, do not accrue Airpoints Dollars. Why would I use OneSmart when travelling instead of my debit or credit card? 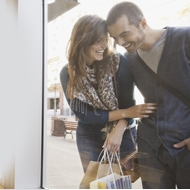 Using OneSmart when you travel means you can lock in an exchange rate1 before you go. You can lock in up to eight foreign currencies at any one time. And because you already have the currency locked in, you’ll know exactly how much you have to spend while you’re on holiday. Also for every $100 NZD equivalent spent in foreign currency you will earn 1 Airpoints Dollar on eligible purchases2. 1 OneSmart Conversion Rates apply. 2The following purchases will not accrue Airpoints Dollars: a) purchases of Airpoints Dollars, gambling chips, money orders, travellers cheques and foreign currencies in cash, b) any fees, adjustments and transfers between OneSmart Accounts c) any transaction that is reversed/refunded or charged-back, and d) any cash withdrawals from ATMs. What happens to my OneSmart functionality when my Airpoints™ Card expires or my Airpoints Tier Status changes? Your Airpoints tier status will expire based on the expiry date on your Airpoints card. This expiry date is located beneath your Airpoints membership number i.e. NO.XXXXXXX. You will however, be issued with a replacement AirpointsTM card before your current tier expires. Please note that the OneSmart functionality has 4 more months of use after your Airpoints tier expiry date. 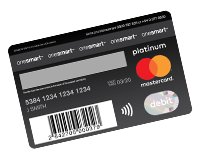 The OneSmart expiry date is located on the reverse side of your card next to the Mastercard logo. This means that if you are overseas and you haven’t received your new card, you can still use your card for making purchases. What is my card’s security code (CVC2)? Your card’s security code or CVC2 is the 3-digit number to the right of the signature panel on the reverse side of your AirpointsTM card next to the Mastercard logo. Is there anything I can’t use OneSmart for? c) Purchases from merchants who do not accept prepaid Mastercard branded cards. e) Transactions in countries prohibited by US Government sanctions and laws. Is there anything I shouldn’t use OneSmart for? We recommend that you don’t use OneSmart at “pay at pump” terminals or to secure (pay a deposit for) car rental, cruise, hotel or motel reservations. This is because these transactions will place a hold on your funds and reduce your available balance for up to 30 days, until the merchant has obtained an authorisation or approval for the final transaction amount. In these situations, your available balance will be reduced by the amount of the held transaction. However, once the merchant has received the authorisation or approval, only the final amount actually spent or authorised will be deducted from your Available Balance. Unlike a credit card, your OneSmart Account has your preloaded funds on it. You are not using a credit limit. This may mean you are unable to obtain your funds when you need them in the immediate future, until the ‘hold’ is removed. You can of course use your OneSmart card to settle your final bill. Am I able to change the order in which currencies will be drawn on from my OneSmart Account? The order in which currencies are withdrawn cannot be changed. When will my funds be available when I load them into my OneSmart Account? If you load funds onto your OneSmart Account via Bank Transfer (before 4pm NZST on a business day), your funds will be available the next day. If you load funds using Bill Payment, your funds will typically be available within 2 business days (if payment is made before 4pm NZST on a business day). Immediately call OneSmart Customer Service Centre on 0800 787 555 or +64 9 377 8535. Your lost or stolen card will be cancelled and you can request to be issued with a new card. Alternatively you can suspend your card in the Settings tab in ‘My Account’ (https://www.airnzonesmart.co.nz). How do I file a dispute on a OneSmart card transaction I didn’t make? If you did not make a particular transaction showing on your transaction history, you should call OneSmart Customer Service Centre immediately on 0800 787 555 or +64 9 377 8535. You can download a Dispute Claim Form here. Please allow up to 45 days for your dispute to be processed. Some merchants may offer Dynamic Currency Conversion (“DCC”) that allows you to pay in your home currency or another currency when you are spending overseas or online. Accepting the offer to settle in another currency may result in unnecessary conversion costs as the merchant may apply a foreign exchange margin to convert the transaction currency into another currency and other currency conversion fees may apply. We recommend that if you are given a choice of currency for a transaction and have sufficient funds, that you should choose to pay in the local currency. Some merchants or ATM operators may charge a fee for dynamic currency conversion, which you might not be advised of at the time of the transaction. What would happen if I did accept a Dynamic currency conversion? If you accept a Dynamic currency conversion transaction you may end up incurring two currency conversions which could make the transaction significantly more expensive. If you make a purchase or ATM withdrawal in a country where the local currency is the same as a currency on your OneSmart (e.g. using your US Dollar funds in the USA) and you opt in to a Dynamic currency conversion service, this may result in a foreign exchange transaction at additional cost to you as the card will seek to transact in New Zealand dollars. If you have funds loaded onto your OneSmart in the currency of the country you are in, you should NOT opt in to Dynamic currency conversion. Are there any countries my OneSmart card won’t work in? Although the Mastercard acceptance mark may be displayed, OneSmart may not operate in some countries and geographical regions due to restrictions. The countries and geographical regions currently affected by sanctions are: Iran, North Korea, Sudan, Syria and Crimea. If you attempt to withdraw cash from an ATM or use your OneSmart card at merchants in any of these countries, your request will be declined. Is there a new OneSmart App I can download? Yes, a OneSmart app is available to download on iPhone and Android devices. The app is a convenient and secure way to manage your travel money, whether you're loading foreign currencies before you fly or while shopping overseas. How can I transfer money to my OneSmart account? For more details, login to your OneSmart account, select Setting, Load Settings. Contact the OneSmart Customer Service Centre, we’re here to help 24/7. OneSmart is an unsecured debt security issued by Travelex Card Services Limited (the “Issuer”), a member of the Travelex Group. OneSmart is not guaranteed by any member of the Travelex Group or any other entity. A Product Disclosure Statement (“PDS”) in respect of OneSmart is available here. Information has been prepared without taking into account your objectives, financial situation or needs and you should consider the appropriateness of the information about the OneSmart facility before making any decisions about whether to acquire or continue using the prepaid facility. Mastercard® is a registered trademark, and the circles design is a trademark of Mastercard International Incorporated. Airpoints Terms and Conditions apply. Purchases of Airpoints Dollars, gambling chips, money orders, travellers cheques, cash withdrawals, flights purchased directly from Air NZ using your OneSmart Account and any transactions that are reversed, refunded or charged-back, do not accrue Airpoints Dollars. i If you spend in a foreign currency, for calculating your Airpoints Dollar earning, the amount you spend will be converted by us into New Zealand dollars at the exchange rate set by Mastercard at the time the amount is deducted from your OneSmart Account. ii Exchange rates for initial loads and subsequent reloads via www.airnzonesmart.co.nz will be set at the prevailing exchange rate set out on the website at the time of your request, provided you follow the instructions and make payment within four hours. Where you do not make payment within four hours, the applicable exchange rate may differ to the exchange rate at the time of your request as it will be set at the prevailing exchange rate at the time the transaction is settled and not at the time of your request. For loads or reloads not completed via the website, the exchange rate applied will be the prevailing exchange rate at the time the transaction is settled and not at the time of your request. iii Although the Mastercard acceptance mark may be displayed, OneSmart may not operate in some countries and geographical regions, due to restrictions. Please verify the list of countries and regions with restrictions at www.airnzonesmart.co.nz. If you attempt to withdraw cash from an ATM or use your Card at merchants in any of these countries and geographical regions, your request will be declined. In addition, ATMs or POS terminals may not be owned or operated by the Issuer or Mastercard Prepaid Management Services (NZ) Limited and the Issuer and Mastercard Prepaid Management Services (NZ) Limited are not responsible for ensuring that merchants will accept the Card. For example, the Issuer and Mastercard Prepaid Management Services (NZ) Limited cannot control when an ATM or POS terminal is due for maintenance or is faulty or if a merchant chooses not to accept the Card. In such cases, your Card may not function properly or may be declined. For more information please see the Product Disclosure Statement. iv Some ATM operators may charge their own fees and set their own limits. “Airpoints™” is the registered trade mark for the loyalty programme operated by Air NZ. “Airpoints Dollars™” is a registered trade mark for a form of reward offered to members of the Airpoints programme. Dynamic Currency Conversion (DCC) is an optional service that is sometimes offered by foreign retailers and ATM operators, giving cardholders the choice of paying in either the currency of the country they are visiting or their own domestic currency. If you make a purchase or ATM withdrawal in a country where the local currency is the same as a currency on your OneSmart (e.g. using your US Dollar funds in the USA) and you opt in to a DCC service, this may result in a foreign exchange transaction at additional cost to you as the card will seek to transact in New Zealand dollars. If you have funds loaded onto your OneSmart in the currency of the country you are in, you should NOT opt in to DCC. OneSmart is available to Airpoints members residing in New Zealand 16 years of age or older. Please enter your details below and we'll recover your password for you. An email has been sent to your registered email address. To reset your password, please follow the instructions in the email. Your password has been successfully changed. Please use your new password to login. To maintain security over your account you need to enter a new password to continue. To change your password, type your current password and your new password twice. New to OneSmart and this is a first time activation. Existing OneSmart member and this is a new card replacement activation.